A glorious day – a glorious weekend in fact – mid July and looking promising – fingers crossed, eh? 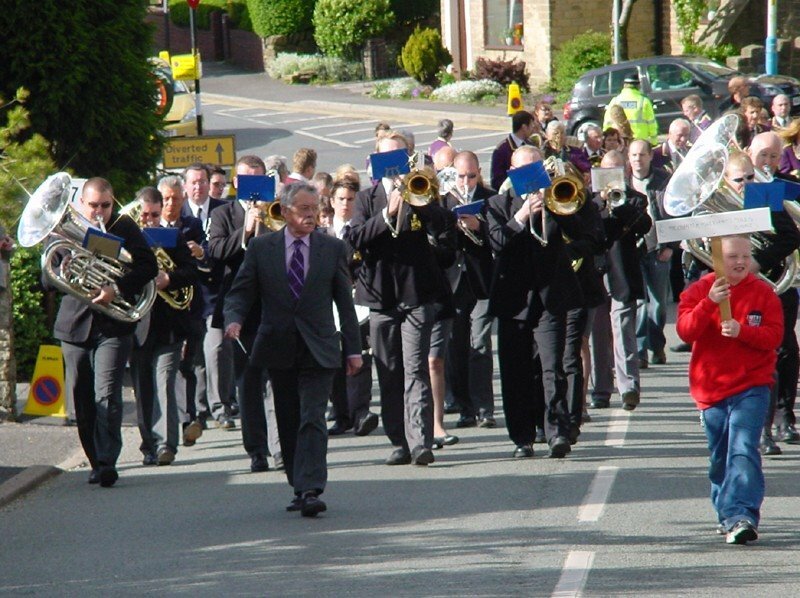 And another sound – equally familiar though unhappily less frequent – typical of a village green in the north of England – an echo from Whit Friday – a brass band tuning up. Meltham & Meltham Mills (1846) about to entertain a crowd sunning itself outside the Diggle Hotel. Two Australian lasses tucking into roast beef and Yorkshire pudding – a chap who remembers following the band of the Salvation Army on its way down to the Citadel on Union Street when he was a little lad back in the 1920s – toddlers with their Mums and Dads – babes in arms, Grandmas and Granddads enjoying the somewhat rare sunshine, keeping safely in the shade of the tall sycamores with the rooks cawing accompaniment to the band about to begin. 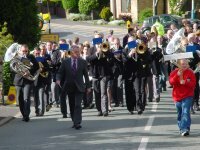 Stuart Fawcett – a grand chap – a band chap – the band’s jovial, knowledgeable conductor, sharing a joke with the junior members of the band, watching him to give them the sign to start blowing. Stu recalls when he was a jig borer at Brook Motors in Huddersfield, and when, in Meltham, if you didn’t work for David Brown Tractors you probably didn’t work at all. Cheerful Phil Beck selling raffle tickets in aid of the band. He sold me a roll and then never called my numbers at the end – cheers, Phil – really! Young soloists – a cornet player probably doing her A-Levels – a lad with spiky hair – a wizard on the drums, and the heavyweights – euphonium players – trombonists on the back row, ready to boom their base barreltones when the conductor nods banging out An American Trilogy and Mephistopheles especially for me at the end. 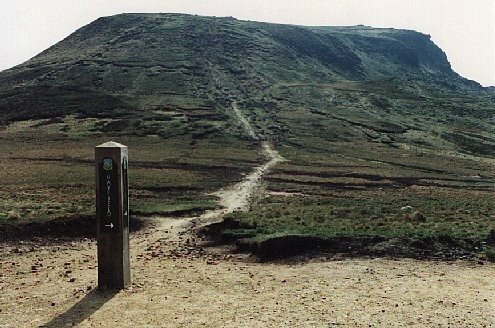 The melodious tones that go entirely with the views up the valley to moorlands flecked with sheep and lumps of millstone grit – punctuated now and then with the train to Huddersfield as it plunges into the blackness of nearby Standedge Tunnel. Then it’s over and Stuart and his pals, all much appreciated in the usual way, packing up with a wave and a thank you. A grand day out.